The team at Business Cornwall have announced they are to launch a new venture in October 2018 that will help businesses find meeting space. Lacuna Business is the website that makes the process of finding the right venue for upcoming conferences, workshops or training sessions easy. Rather than trawling through search engine results and visiting numerous websites, bookers will now only have to search in one place to find exactly what they need. With workplace productivity being an increasing priority for many businesses throughout the UK, the potential time saving from using a website like Lacuna Business is proving to be crucial for everyone – from events management specialists, to those who book all conference and training venues for their organisation, and those who simply arrange their business’ board meeting twice a year. Having worked closely with the business community throughout the county for a number of years, the team at Business Cornwall have developed a sound understanding of the need for a website that helps to streamline the process of finding the right meeting space. The Business Cornwall team have been working with full service marketing agency Eight Wire to develop the Lacuna Business website. 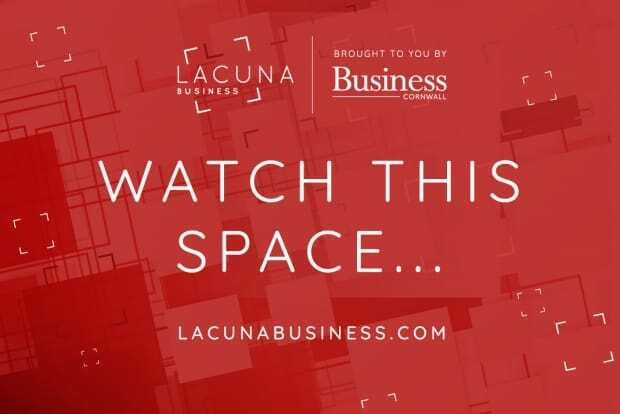 The mini-site is now live and those wishing to be notified of the full launch can easily register to be kept updated by visiting www.lacunabusiness.com or calling the team on 01209 718688.